Bristol City's revival under Lee Johnson was resumed as they condemned Nottingham Forest to a third consecutive Championship defeat by securing a 2-1 success at the City Ground. Dougie Freedman's side had taken the lead through a 30th-minute goal from Ben Osborn, as he swept home a Chris Cohen free-kick. But, after the Reds had spurned a number of chances, the Robins hit back. Jonathan Kodjia netted his 13th goal of the season to level in the 41st minute, before a powerful header from Aden Flint secured three points for Johnson's side 20 minutes from the end. Johnson, who took over at the start of the month, already looks to be steering Bristol towards safety, with this win leaving them eight points clear of the bottom three. 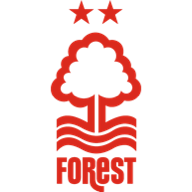 Forest might have made the breakthrough in the second minute when good work from Nelson Oliveira gave him the opportunity to deliver a cross from the left, but Jamie Ward steered his volley over the bar from five yards. A frenetic opening to the game saw Lee Tomlin left with his head in his hands after seeing a clever, curled effort deflected just wide of the post. But it was Forest who continued to push, with Oliveira just failing to apply the vital touch to a cross-shot from Ward as he slid in at the far post. Eric Lichaj then threatened to bag what would have been the second goal of his Forest career when he cut in from the right and forced a smart save from Richard O'Donnell with a left-footed strike. Forest suffered a blow when Ward pulled up with a hamstring injury in the 19th minute and had to be replaced by Tyler Walker, shortly before Oliveira tested O'Donnell again with an angled shot. The Reds did take the lead in the 30th minute, after Lichaj had been fouled on the right side. Chris Cohen whipped in a driven cross and, as Bristol struggled to clear, Osborn turned and fired the loose ball low into the net, with the aid of a slight deflection. Oliveira saw one effort blocked and another saved by O'Donnell. 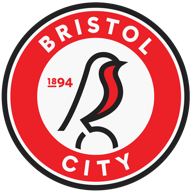 But it was Bristol City who were to level in the 41st minute. Joe Bryan was unlucky not to find the net with a fine low strike that bounced away off the foot of the post, but Kodija reacted quickest to slot home the rebound. Walker carved out the first opportunity of the second half with a darting burst beyond the City offside trap, but Cohen was booked for a dive when he went down in the box after collecting his cutback. Lichaj came close with a shot flashed across goal. Luke Freeman drilled a golden chance wide for City when the ball rebounded to him 10 yards out. Kodija then sent a header straight at Dorus De Vries as the visitors enjoyed a spell of pressure. The Robins were to get their reward in the 70th minute, when Freeman lofted in a corner to towards the near post and Flint arrived to power home a header which De Vries got a hand to, but could not keep out. Forest never really threatened an equaliser.